Life wasn’t meant to be easy as a Health Minister in Australia, whether at the state or federal level. The demands are constant and ever more expensive, and it is easy for the heart-rending exception to create a new very costly budget line. However, because as governments and as individuals we have a ?nite amount to spend we are rationing our resources whether we like it or not. And I’m sure we could get a lot better health results if we allocated our resources more ef?ciently. Because of these relentless shearing forces on health budgets we should be constantly looking for the best investments and for the best outcomes. That might be as Professor Philip Clarke points out getting a much better pricing for our huge national pharmaceutical buy, or by ending or at least reducing futile end-of-life care and by greatly reducing ineffective and highly expensive interventions such as arthroscopies, PSA testing for prostate cancer, knee MRIs, as was highlighted in the recent episode of Four Corners entitled Wasted. The most cost effective interventions are often found in the world of prevention. A 2003 study commissioned by the then Federal Department of Health and ageing demonstrated how much death and suffering have been prevented through vaccination, tobacco control, road trauma prevention. From 2008-2011, I chaired the development of the National Preventive Health Strategy (NPHS). We set out an ambitious agenda to 2020 to reduce the burden of death and suffering from obesity, tobacco and the harmful use of alcohol. 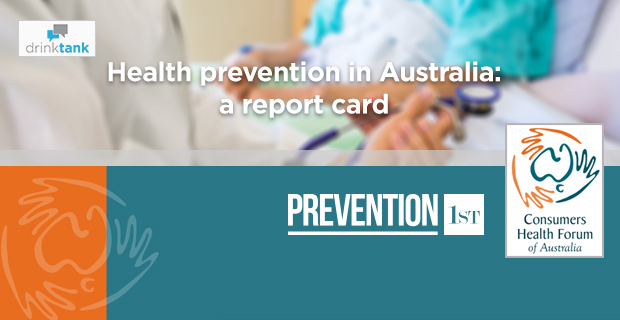 In reviewing the Report card of Australia’s health against these national targets set by the National Preventive Health Strategy and the Council of Australian Governments (COAG) in 2009, I have come to the conclusion that Australia is “a bright child but just won’t apply itself to the new tasks at hand”. Tobacco control gets an A+ given the impact of ongoing increases in the cost of cigarettes (though excise taxes), a global ?rst with the plain packaging of cigarettes and major new investments in indigenous tobacco control programs. This is the good student. However, for the reducing the harm from alcohol, as documented by a review of progress by the Foundation for Alcohol Research and Education, Australia gets a D-. For the work in Obesity, Australia gets an E, a clear fail. Child and adult overweight and obesity have increased signi?cantly in the last twenty years and this trend has not been halted or reversed. Both childhood and adult obesity are major health concerns, and are associated with many preventable chronic diseases. Australia is not on track to meet either COAG or NPHT targets for overweight and obesity. Prevention deals with populations and not just individuals. It has to deal with strongly entrenched behaviours, beliefs and attitudes. 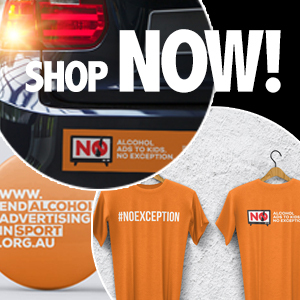 And to be effective (as we have seen with road trauma and tobacco control) it generally requires legislative and regulatory approaches to reduce the danger of unhealthy products or behaviours, the regulation of pricing (making unhealthy products more costly); widespread, repeated well-researched and highly effective social media campaigns; a mobilised health profession and community and lastly multi-party political support and funding. The need to challenge and confront deeply held beliefs or commercial vested interests means that local heroes such as Police Surgeon John Birrell one of the architects in Australia’s road trauma successes, Nigel Gray the head of the Victorian Anti Cancer Council and doyen of anti-tobacco strategists and latterly Jane Martin, the director of the Obesity Policy Coalition, have been the target of virulent criticism. They are by no means on their own but all have been savagely attacked in the mainstream media. It takes courage to stick your head above the parapets! Which is why we need great leadership (for example Neil Blewett on HIV/AIDS, Michael Wooldridge on vaccinations and Nicola Roxon on plain packaging) which becomes supported by bi-partisan or multi partisan approaches. One of the most damaging features of highly adversarial politics is every time governments change their policies and the programs they support change with it. Australia has performed best in programs that have bipartisan support – and again road trauma, immunization and tobacco control come to mind. We are falling behind, we could be producing much better health outcomes. We could prevent a lot more early death and suffering. Wake up Australia! I agree, Donna – an article named slightly incorrectly but containing some important information. Mandatory pregnancy warning labels on alcohol products are on the horizon, but there is still a long way to go to ensure effective warnings are implemented.